|250px|none|alt=290px|From top, left to right: the Parliament Building with the Danube River, the Chain Bridge, the Parliament Building, the St. Stephen's Basilica, the Fisherman's Bastion, the Heroes' Square, the Liberty Statue. ]]From top, left to right: the Parliament Building with the Danube River, the Chain Bridge, the Parliament Building, the St. Stephen's Basilica, the Fisherman's Bastion, the Heroes' Square, the Liberty Statue. listen); names in other languages) is the capital and the largest city of Hungary, the largest in East-Central Europe and the seventh largest in the European Union. It is the country's principal political, cultural, commercial, industrial, and transportation centre, sometimes described as the primate city of Hungary. In 2011, according to the census, Budapest had 1.74 million inhabitants, down from its 1989 peak of 2.1 million due to suburbanization. The Budapest Commuter Area is home to 3.3 million people. The city covers an area of 525 square kilometres (202.7 sq mi) within the city limits. Budapest became a single city occupying both banks of the river Danube with a unification on 17 November 1873 of west-bank Buda and Óbuda with east-bank Pest. The history of Budapest began with Aquincum, originally a Celtic settlement that became the Roman capital of Lower Pannonia. Hungarians arrived in the territory in the 9th century. Their first settlement was pillaged by the Mongols in 1241-42. The re-established town became one of the centres of Renaissance humanist culture in the 15th century. Following the Battle of Mohács and nearly 150 years of Ottoman rule, the region entered a new age of prosperity in the 18th and 19th centuries, and Budapest became a global city after the 1873 unification. It also became the second capital of the Austro-Hungarian Empire, a great power that dissolved in 1918, following World War I. Budapest was the focal point of the Hungarian Revolution of 1848, the Hungarian Republic of Councils of 1919, Operation Panzerfaust in 1944, the Battle of Budapest in 1945, and the Revolution of 1956. Cited as one of the most beautiful cities in Europe, its extensive World Heritage Site includes the banks of the Danube, the Buda Castle Quarter, Andrássy Avenue, Heroes' Square and the Millennium Underground Railway, the second oldest in the world. Other highlights include a total of 80 geothermal springs, the world's largest thermal water cave system, second largest synagogue, and third largest Parliament building. The city attracts about 4.3 million tourists a year, making it the 25th most popular city in the world (and the 6th in Europe) according to Euromonitor. Considered a financial hub in Central Europe, the city ranked 3rd (out of 65 cities) on Mastercard's Emerging Markets Index, and ranked as the most livable Central/Eastern European city on EIU's quality of life index. It is also ranked as "Europe's 7th most idyllic place to live" by Forbes, and as the 9th most beautiful city in the world by UCityGuides. It is the highest ranked Central/Eastern European city on Innovation Cities' Top 100 index. There are also several theories about the origin of the name "Pest". One of the theories claims that the word "Pest" comes from the Roman times, since there was a fortress "Contra-Aquincum" in this region which was referred to as "Pession" ("Πέσσιον", iii.7.§2) by Ptolemaios. According to another theory, "Pest" originates from the Slavic word for cave "пещера, peshtera" or from the word for oven "печь, pesht", in reference to a cave where fires burned or to a local limekiln. In the old-Hungarian language there was a similar word meaning oven/cave and the original old-German name of this region was also "Ofen". Later, the German "Ofen" referred to the Buda side. In 1686, two years after the unsuccessful siege of Buda, a renewed campaign was started to enter the Hungarian capital. This time, the Holy League's army was twice as large, containing over 74,000 men, including German, Croat, Dutch, Hungarian, English, Spanish, Czech, Italian, French, Burgundian, Danish and Swedish soldiers, along with other Europeans as volunteers, artilleryman, and officers, the Christian forces reconquered Buda, and in the next few years, all of the former Hungarian lands, except areas near Timişoara (Temesvár), were taken from the Turks. In the 1699 Treaty of Karlowitz these territorial changes were officially recognized, and in 1718 the entire Kingdom of Hungary was removed from Ottoman rule. The city was destroyed during the battle. Hungary was then incorporated into the Habsburg Empire. Hungarian Royal Palace in 1930. During the Hungarian Republic of Councils in 1919, the Heroes' Square was completely covered with red fabric and a statue of Marx was erected. 1867 was the year of Reconciliation that brought about the birth of Austria-Hungary. The 19th century was dominated by the Hungarian struggle for independence and modernization. The national insurrection against the Habsburgs began in the Hungarian capital in 1848 and was defeated a little more than a year later.This made Budapest the twin capital of a dual monarchy. It was this compromise which opened the second great phase of development in the history of Budapest, lasting until World War I. In 1849 the Chain Bridge linking Buda with Pest was opened as the first permanent bridge across the Danube and in 1873 Buda and Pest were officially merged with the third part, Óbuda (Ancient Buda), thus creating the new metropolis of Budapest. The dynamic Pest grew into the country's administrative, political, economic, trade and cultural hub. Ethnic Hungarians overtook Germans in the second half of the 19th century due to mass migration from the overpopulated rural Transdanubia and Great Hungarian Plain. Between 1851 and 1910 the proportion of Hungarians increased from 35.6% to 85.9%, Hungarian became the dominant language, and German was crowded out. The proportion of Jews peaked in 1900 with 23.6%. Due to the prosperity and the large Jewish community of the city at the start of the 20th century, Budapest was often called the "Jewish Mecca". In 1918 Austria-Hungary lost the war and collapsed; Hungary declared itself an independent republic. In 1920 the Treaty of Trianon finalized the country's partition, as a result, Hungary lost over two-thirds of its territory, and about two-thirds of its inhabitants under the treaty, including 3.3 million out of 10 million ethnic Hungarians. From the 1960s to the late 1980s Hungary was often satirically referred to as "the happiest barrack" within the Eastern bloc, and much of the wartime damage to the city was finally repaired. Work on Erzsébet Bridge, the last to be rebuilt, was finished in 1964. In the early 1970s, Budapest Metro's East-West M2 line was first opened, followed by the M3 line in 1982. In 1987, Buda Castle and the banks of the Danube were included in the UNESCO list of World Heritage Sites. Andrassy Avenue (including the Millennium Underground Railway, Hősök tere, and Városliget) was added to the UNESCO list in 2002. In the 1980s the city's population reached 2.1 million. In recent times a significant decrease in population occurred mainly due to a massive movement to the neighbouring agglomeration in Pest county. In the last decades of the 20th century the political changes of 1989-90 concealed changes in civil society and along the streets of Budapest. The monuments of the dictatorship were taken down from public places, into Memento Park. In the first 20 years of the new democracy, the development of the city was managed by Gábor Demszky. BC Neolithic, Chalcolithic-, bronze and iron age cultures, Celtic and Eravisci settlements on present day Budapest. 1st century Romans found the settlements known as Aquincum, Contra-Aquincum and Campona. Aquincum becomes the largest town of the Danubian region and one of the capitals of Pannonia. 5th century The Age of Huns. King Attila builds a city for himself here according to later chronicles. After his death, the sons of his brother Mundzuk (Hungarian: Bendegúz, Turkish: Boncuk), Attila and Bleda (Hungarian:Buda), in control of the united Hun tribes. 896 Following the foundation of Hungary, Árpád, leader of the Magyars from the east (present day Hungarians), settles in the "Town of Attila", usually identified as Aquincum. 1046 Bishop Gellért dies at the hands of pagans on present-day Gellért Hill. 1241 Tatar (Mongol) invasions destroy both towns. King Béla IV builds the first royal castle on Castle Hill, Buda in 1248. The new town adopts the name of Buda from the earlier one (present day Óbuda). Pest is surrounded by city walls. 1270 Saint Margaret of Hungary dies in a cloister on the Isle of Rabbits (present day Margaret Island). 1458 The noblemen of Hungary elect Matthias Corvinus (in Latin) or Hunyadi Mátyás (in Hungarian) as king on the ice of the Danube. Under his reign Buda becomes a main hub of European Renaissance. He dies in 1490, after capturing Vienna in 1485. 1541 The beginning of Ottoman occupation. The Turkish Pashas build multiple mosques and baths in Buda. 1602 An unsuccessful assault on Budapest under Feldmarschall Christof Hermann Graf von Rußworm (2 October - 15 November 1602). 1686 Buda and Pest are reconquered from the Turks with Habsburg leadership. Both towns are destroyed completely in the battles. 1690s Resettlement of Hungary, initially only a few hundred German settlers. 1773 Election of the first Mayor of Pest. 1777 Maria Theresa of Austria moves Nagyszombat University to Castle Hill. 1783 Joseph II places the acting government (Helytartótanács) and Magyar Kamara on Buda. 1795 20 May Ignác Martinovics and other Jacobin leaders are executed on Vérmező or 'The Field of Blood'. 1810 A fire in the Tabán district. 1825 Commencement of the Reform Era. Pest becomes the cultural and economic centre of the country. The first National Theatre is built, along with the Hungarian National Museum. 1838 The biggest flood in recent memory in March completely inundates Pest. 1848 15 March Start of the Revolution and War of Independence of 1848-49. Pest replaces Pozsony/Pressburg (Bratislava) as the new capital of Hungary and seat of the Batthyány government and the Parliament. 1849 The Austrians occupy the city in early January, but the Hungarian Honvédsereg (Army of National Defense) reclaims it in April, taking the fortress of Buda on 21 May after an 18-day siege. In July, the Habsburg army again captures the two towns. 1849 6 October Lajos Batthyány, the first Hungarian Prime Minister is executed on the present-day Szabadság tér. 1849 Széchenyi Lánchíd, or Széchenyi Chain Bridge, the first permanent bridge across the Danube in Budapest was opened linking Buda (West bank) and Pest (East bank). 1867 Austro-Hungarian Compromise of 1867, followed by unprecedented civic development, resulting in the style of present day Budapest. 1873 The former cities: Pest, Buda and Óbuda are united, and with that the Hungarian capital is established with the name of Budapest. 1874 The Budapest Cog-wheel Railway service is inaugurated. 1878 Electric public lighting was installed in all streets of the city centre. The first telephone exchange was installed in Budapest. 1896 Millennium celebrations, the Millennium Underground is inaugurated, and the Ferenc József híd (today's Freedom Bridge) is opened. 1909–1910 Electric public lighting expanded to the suburbs, the nearby towns villages had Electric public lighting. 1910 The census finds 880,000 people in Budapest and 55,000 in the largest suburb of Újpest (now part of Budapest). 1918–1919 Following the conclusion of World War I, the Hungarian Republic of Councils is founded and 133 days later overthrown by the Romanian army which then makes excessive requisitions in Budapest. They regarded this as gathering war reparations, while others classify it as looting. 1924 Hungarian National Bank is founded. 1925 Hungarian Radio commences broadcasting. 1933 Disassembly of the Tabán commences. 1944 19 March The Germans occupy Budapest. At the time of the occupation, there were 184,000 Jews and between 65,000 and 80,000 Christians of Jewish descent in the town. The Arrow Cross collaborated with the Germans in murdering Jews. Fewer than half of Budapest's Jews (approximately 119,000) survived the following 11 months. 1944 26 December - 13 February Soviet and Romanian troops besiege Budapest from 15 to 18 January. The retreating Germans destroy all Danube bridges. On 18 January, the Soviets complete the occupation of Pest. The Buda castle falls on 13 February. World War II took the lives of close to 200,000 Budapest residents and caused widespread damage to nearly all of the buildings in the city. 1956 23 October - 4 November The Hungarian Revolution of 1956 breaks out, ending in the invasion of a large Soviet force. 1960s Wartime damage is largely repaired. Work on the final bridge to be repaired, the Elizabeth Bridge is finished in 1964. 1970–1972 The first phase of the East-Western Metro begins. 1982 The first phase of the North-Southern Metro begins. 1987 Castle Hill and the banks of the Danube are included in the UNESCO World Heritage Sites. 1989 19 August. Hundreds of East German citizens escape to West at the western frontier of Hungary with the help of the Hungarian Democratic Forum. 1990 The city is home to 2,016,100 residents. 2002 Andrássy Avenue is added to the list of World heritage Sites, along with the Millennium Underground railway and Heroes' Square. 2010 Sewage treatment of the city reaches 100% of generated sewage. Budapest as seen from SPOT satellite. The city has a humid continental, transitional climate - somewhere between the mild, snowy weather of Transdanubia, the variable continental climate of the flat and open Great Plain to the east and the almost sub-Mediterranean weather of the south. A KSH report showed that the proportion of Roma in Budapest increased from 2% in 1990 to 4.6% in 2009 due to moving of middle class and upper middle class ethnic Hungarians to the suburbs. Whilst only 1.7% of the population of Hungary in 2009 were foreigners, 43% of them lived in Budapest, making them 4.4% of the city's population. Nearly two-thirds of foreigners living in Hungary were under 40. The primary motivation for this age group living in Hungary was employment. The city is home to the largest synagogue in Europe (Dohány Street Synagogue), and second largest working in the World. The synagogue is located in the Jewish district taking up several blocks in central Budapest bordered by Király utca, Wesselényi utca, Grand Boulevard (Budapest) and Bajcsy Zsilinszky road. The city is also proud at the largest medicinal bath in Europe (Széchenyi Medicinal Bath) and the third largest Parliament building in the world, once the largest in the world. The third largest church in Europe (Esztergom Basilica) and the second largest Baroque castle in the world (Gödöllő) are in the vicinity. Csepel Island (Hungarian pronunciation: [ˈtʃɛpɛlsiɡɛt]) is the largest island of the River Danube in Hungary. It is 48 km (30 mi) long; its width is 6–8 km (3.75–5 mi) and its area comprises 257 km2 (99 sq mi), whereas only the northern tip is inside the city limits. Hajógyári-sziget ([ˈhɒjoːɟaːri siɡɛt], or Óbudai-sziget) is a man built island, located in the third district. This island hosts many activities such as: wake-boarding, jet-skiing during the day, and dance clubs during the night. This is the island where the famous Sziget Festival takes place, hosting hundreds of performances per year and now around 400,000 visitors in its last edition. Many building projects are taking place to make this island into one of the biggest entertainment centres of Europe, the plan is to build Apartment buildings, hotels, casinos and a marina. Budapest Liszt Ferenc International Airport, formerly called Budapest Ferihegy International Airport, which has only one passenger terminal: Ferihegy 2/A and Ferihegy 2/B connected with the Sky Court building. The airport is located to the east of the centre in the XVIII. district in Pestszentlőrinc. In March 2011, the Hungarian Government announced that the name of the Airport is to be changed from "Budapest Ferihegy International Airport" to "Budapest Liszt Ferenc International Airport". Outside Budapest, there are alternative international airports in Debrecen, Sármellék, Győr-Pér and Pécs-Pogány, all of which can all be reached within three hours by train or bus. Budapest public transport is provided by BKV, the company operates buses, trolleybuses, trams, suburban railway lines, the metro, a boat service, a cogwheel railway, a funicular, and a chairlift, called Libegő. Day services operate from 4:30 am until 11:30 pm each day. Night traffic (a reduced overnight service) has a reputation for being excellent. There are three metro lines and a fourth is currently under construction. The Yellow line, built in 1896, is one of the oldest subway lines in the world, following the London Underground built in 1863. Hungarian main-line railways are operated by MÁV. There are three main railway termini in Budapest, Keleti (eastbound), Nyugati (westbound), and Déli (southbound), operating both domestic and international rail services. Budapest is one of the main stops of the Orient Express on its Central and Eastern European route. There is also a suburban rail service in and around Budapest, operated under the name HÉV. The river Danube flows through Budapest on its way to the Black Sea. 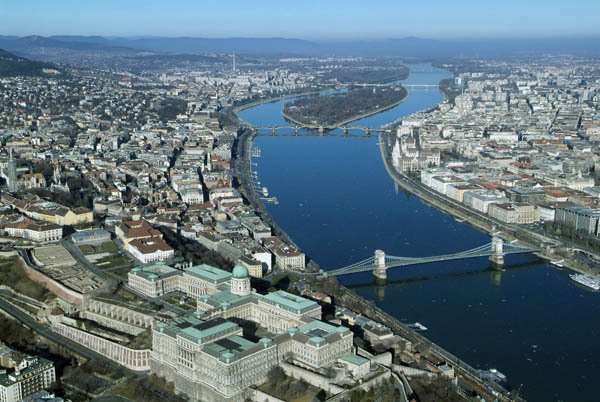 The river is easily navigable and so Budapest has historically been a major commercial port (at Csepel). In the summer months a scheduled hydrofoil service operates up the Danube to Vienna. BKV also provides public transport with boat service within the borders of the city. 3 route (marked D11-13) connects the 2 banks with Margaret Island and Hajógyári-sziget, from Római fürdő (Buda side, North to Óbudai sziget) or Árpád Bridge (Pest side) to Rákóczi Bridge, with a total of 15 stops. Several companies provides sightseeing boat trips and also an amphibious vehicle (bus and boat) operates constantly. The Pest side is also a famous port place with an international shipstation. The latter three vehicles run among Buda hills. A lot of libraries have unique collections in Budapest, such as the National Széchenyi Library, which keeps historical relics from the age before the printing of books. The Metropolitan Szabó Ervin Library plays an important role in the general education of the capital’s population. Other libraries: The Library of the Hungarian Academy of Sciences, Eötvös University Library, the Parliamentary Library and the National Library of Foreign Literature. The city is also well known for its ruin bars. The 1906 novel The Paul Street Boys, the 1937 novel Journey by Moonlight, the 1957 book The Bridge at Andau, the 1975 novel Fateless, the 1977 novel The End of a Family Story, the 1986 book Between the Woods and the Water, the 1992 novel Under the Frog, the 1987 novel The Door, the 2002 novel Prague, the 2003 book Budapeste, the 2004 novel Ballad of the Whisky Robber, the 2005 novels Parallel Stories and The Historian, the 2012 novel Budapest Noir are set, amongst others, partly or entirely in Budapest. Some of the better known feature films set in Budapest are Kontroll, The District!, Ein Lied von Liebe und Tod, Sunshine, An American Rhapsody, As You Desire Me, The Good Fairy, Hanna's War, The Journey, Ladies in Love, Mehbooba, Music Box, The Shop Around the Corner, Zoo in Budapest, and Mission: Impossible – Ghost Protocol. Váci Street is one of the main shopping streets in Budapest. ^ a b Bachmann, Helena (18 March 2002). "Beauty and the Feast". Time. http://www.time.com/time/magazine/article/0,9171,901020325-218419,00.html. Retrieved 2008-05-22. ^ "Budapest". Encyclopædia Britannica. Encyclopædia Britannica, Inc.. 2008. http://www.britannica.com/eb/article-9106098/Budapest. Retrieved 2008-01-30. ^ "2011 Hungarian Census". Hungary Central Statistical Office. 27 March 2012. http://www.nepszamlalas2011.hu/files/sharedUploads/Anyagok/2012/03_ho/Nepsz_1elozetes_egybe_int.pdf. Retrieved 2012-03-27. ^ "Interactive population pyramids of Budapest (1980-2010)". Hungary Central Statistical Office. http://www.ksh.hu/interaktiv/korfa/terulet.html. Retrieved 2011-05-10. ^ a b "Dövényi Zoltán-Kovács Zoltán: A szuburbanizáció térbeni-társadalmi jellemzői Budapest környékén (Spatial and societal parameters of the suburbanization in Budapest)". Földrajzi Értesítő (Geographical Report). http://www.mtafki.hu/konyvtar/kiadv/FE1999/FE19991-2_33-57.pdf. Retrieved 2011-08-29. ^ a b c d e f g h i j k l m n Török, András. "Budapest". Encarta. http://encarta.msn.com/encyclopedia_761572648/Budapest.html. Retrieved 2008-04-06. ^ a b c d e "Aquincum". Encyclopædia Britannica. Encyclopædia Britannica, Inc.. 2008. http://www.britannica.com/EBchecked/topic/31272/Aquincum. Retrieved 2008-05-22. ^ Sugar, Peter F.; Péter Hanák, Tibor Frank (1990). "Hungary before the Hungarian Conquest". A History of Hungary. Indiana University Press. p. 3. ISBN 0-253-20867-X. http://books.google.com/?id=SKwmGQCT0MAC&printsec=frontcover. Retrieved 2008-05-19. ^ a b c d e f "Budapest". Travel Channel. http://guides.travelchannel.com/budapest/city-guides/historical-background. Retrieved 2008-05-22. ^ a b c "Budapest". 1911 Encyclopædia Britannica Eleventh Edition. http://en.wikisource.org/wiki/1911_Encyclop%C3%A6dia_Britannica/Budapest. Retrieved 2008-01-30. ^ Drake, Miriam A. (2003). "Eastern Europe, England and Spain". Encyclopedia of Library and Information Science. CRC Press. pp. 2498. ISBN 0-8247-2080-6. http://books.google.com/?id=w1Xtjiyh9XYC&pg=PA2494#PPA2498,M1. Retrieved 2008-05-22. ^ Casmir, Fred L. (1995). "Hungarian culture in communication". Communication in Eastern Europe: The Role of History, Culture, and media in contemporary conflicts. Lawrence Erlbaum Associates. p. 122. ISBN 0-8058-1625-9. http://books.google.com/?id=be2UW6NyposC&pg=PA115. Retrieved 2008-05-21. ^ Beaverstock, J. V.; R. J. Smith, P. J. Taylor (1999). "A Roster of World Cities". Retrieved on 2008-05-22. ^ a b "Nomination of the banks of the Danube and the district of the Buda Castle". International Council on Monuments and Sites. http://whc.unesco.org/archive/advisory_body_evaluation/400bis.pdf. Retrieved 2008-01-31. ^ Lyman, Rick (3 October 2006). "Budapest Is Stealing Some of Prague’s Spotlight". The New York Times. http://travel.nytimes.com/2006/09/03/travel/03journey.html. Retrieved 2008-01-29. ^ "World Heritage Committee Inscribes 9 New Sites on the World Heritage List". Unesco World Heritage Centre. http://whc.unesco.org/en/news/156. Retrieved 2008-01-31. ^ "Hungary's, Budapest's and Balaton's Guide: Budapest's spas: Gellért, Király, Rác, Ru..'l'; l;lldas, Széchenyi, Lukács"]. Guideviaggi.net. http://www.guideviaggi.net/en_budapest_spas.asp. Retrieved 2009-07-07. ^ "Big underground thermal lake unveiled in Budapest, Hungary". Tvnz.co.nz. 19 November 2008. http://tvnz.co.nz/view/page/425822/2319289. Retrieved 2009-07-07. ^ "Euromonitor International’s top city destinations ranking". Euromonitor. http://blog.euromonitor.com/2013/01/top-100-cities-destination-ranking.html. ^ "Doing Business : Budapest, the soul of Central Europe". International Herald Tribune. 4 August 2004. http://www.iht.com/articles/2004/08/04/trbuda_ed3_.php. Retrieved 2008-01-29. ^ "New MasterCard Research Ranks 65 Cities in Emerging Markets Poised to Drive Long-Term Global Economic Growth". MasterCard. 22 October 2008. http://www.mastercard.com/us/company/en/newsroom/pr_new_mastercard_research_ranks_65_Cities_in_emerging_markets.html. Retrieved 2009-07-07. ^ "Index - Külföld - Budapest a legélhetőbb európai nagyváros". Index.hu. 7 July 2008. http://index.hu/kulfold/2009/06/08/budapest_a_legelhetobb_europai_nagyvaros/. Retrieved 2009-07-07. ^ "Gazdaság: EIU: Budapest, London és New York között a legjobban élhető városok listáján". HVG.hu. 1 January 1970. http://hvg.hu/gazdasag/20100211_eiu_legelhetobb_varosok_listaja_2010_vanc. Retrieved 2011-09-15. ^ Beckett, Edward; Olson, Parmy. "In Pictures: Europe's Most Idyllic Places To Live". Forbes. http://www.forbes.com/2008/11/18/europe-homes-dollar-forbeslife-cx_po_1118realestate_slide_5.html. ^ "Innovation Cities™ Top 100 Index » Innovation Cities Index & Program – City data training events from 2THINKNOW for USA Canada America Europe Asia Mid-East Australia". Innovation-cities.com. 1 September 2010. http://www.innovation-cities.com/innovation-cities-top-100-index-top-cities/. Retrieved 2011-09-15. ^ "CEE City Ranking puts capitals under the spotlight | Local and regional publications". Rolandberger.at. http://www.rolandberger.at/publications/local_and_regional_publications/2009-05-28-CEE_city_ranking_2009_en.html. Retrieved 2011-09-15. 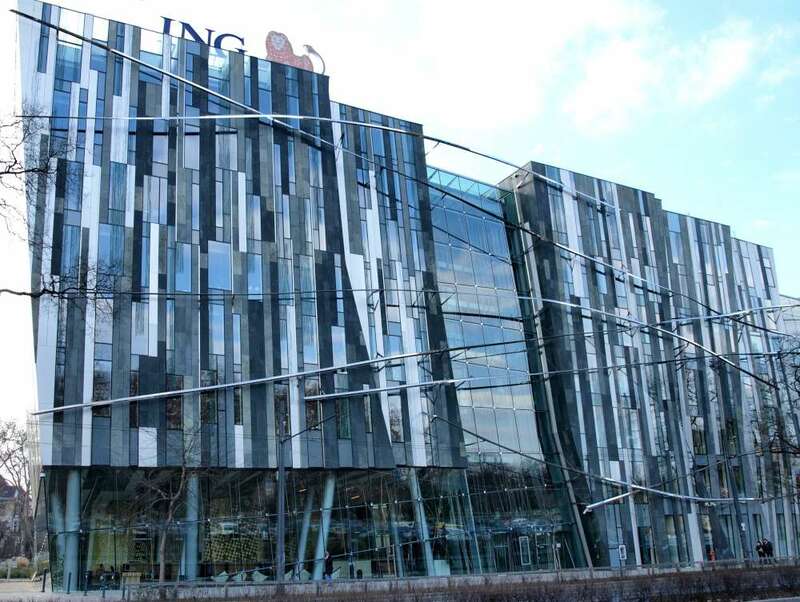 ^ "EU nations pick Budapest for technology institute". International Herald Tribune (The New York Times Company). 18 June 2008. http://www.iht.com/articles/ap/2008/06/18/europe/EU-GEN-EU-Technology-Institute.php. Retrieved 2008-06-20. ^ MTI. "hírek szünet nélkül : Kínai nagyfalat - Budapesten nyílik az első kínai befektetési támaszpont külföldön". hvg.hu. http://hvg.hu/gazdasag.hazai/20090526_kinai_befektetesi_kozpont_budapesten.aspx. Retrieved 2009-07-07. ^ Adrian Room (2006). Placenames of the World. McFarland & Company. p. 70. ISBN 9780786422487. http://books.google.com/books?id=M1JIPAN-eJ4C. ^ Sugar, Peter F. (1990). "Hungary before the Hungarian Conquest". A History of Hungary. Indiana University Press. p. 5. ISBN 978-0-253-20867-5. http://books.google.com/?id=SKwmGQCT0MAC&pg=PR9&dq=The+Romans+roads,+amphitheaters+Aquincum+%C3%93buda. Retrieved 2008-06-03. ^ a b Sugar, Peter F. (1990). "The Angevine State". A History of Hungary. Indiana University Press. p. 48. ISBN 978-0-253-20867-5. http://books.google.com/?id=SKwmGQCT0MAC&pg=PR9&dq=Hungarian+university+1395+Buda. Retrieved 2008-06-03. ^ Mona, Ilona (1974). "Hungarian Music Publication 1774–1867". Studia Musicologica Academiae Scientiarum Hungaricae 16 (1/4): 261–275. DOI:10.2307/901850. ^ Hughes, Holly (2009-08-13). "7 Famous Briges". Frommer's 500 Places to Take Your Kids Before They Grow Up. Wiley Indianapolis Composition Services. ISBN 0470577606. http://books.google.com/?id=Wd0znOQhqOwC&pg=PA91&dq=chain+bridge+budapest#v=onepage&q=chain%20bridge%20budapest&f=false. ^ Bernstein, Richard (9 August 2003). "East on the Danube: Hungary's Tragic Century". The New York Times. http://query.nytimes.com/gst/fullpage.html?res=9B07E3D91531F93AA3575BC0A9659C8B63&sec=&spon=&pagewanted=2. Retrieved 2008-03-15. ^ "Budapest". United States Holocaust Memorial Museum. http://www.ushmm.org/wlc/article.php?lang=en&ModuleId=10005264. Retrieved 2007-07-18. ^ "Budapest:When to go". Lonely Planet. http://www.lonelyplanet.com/worldguide/hungary/budapest/when-to-go. Retrieved 2008-04-06. ^ "Monthly Averages for Budapest, Hungary (based on data from 1901–2010)". Hungarian Meteorological Service. http://www.met.hu/pages/climate/bp/index.htm. Retrieved 2010-06-04. ^ a b "FIFA introduces new FIFA Puskás Award to honour the "goal of the year"". FIFA.com. http://www.fifa.com/classicfootball/releases/newsid=1120531.html. Retrieved 2011-09-15. ^ "Population by nationalities". Hungarian Central Statistical Office. 2001. http://www.nepszamlalas.hu/eng/volumes/06/01/tabeng/4/load01_11_0.html. Retrieved 2008-05-30. ^ a b c d e "Budapest's population is increasing (Növekszik Budapest népessége)". Index.hu. 2010. http://index.hu/belfold/budapest/2010/02/24/novekszik_budapest_nepessege/. Retrieved 2010-03-30. ^ "Population by religions, denominations". Hungarian Central Statistical Office. 2001. http://www.nepszamlalas.hu/eng/volumes/18/tables/load3_12.html. Retrieved 2008-05-30. ^ Kulish, Nicholas (30 December 2007). "Out of Darkness, New Life". The New York Times. http://travel.nytimes.com/2007/12/30/travel/30dayout.html?scp=1&sq=largest+synagogue+in+Europe&st=nyt. Retrieved 2008-03-12. ^ "In the Neighbourhood: the Synagogue". Hotel Ambra. http://www.hotelambra.hu/index.php?page=neigh2&lang=eng. ^ "The largest photo on Earth - created by 360world.eu". 70 Billion Pixels Budapest. http://www.70-billion-pixels-budapest.com/index_en.html. Retrieved 2011-09-15. ^ a b Rail, Evan (12 August 2007). "36 Hours in Budapest". The New York Times. 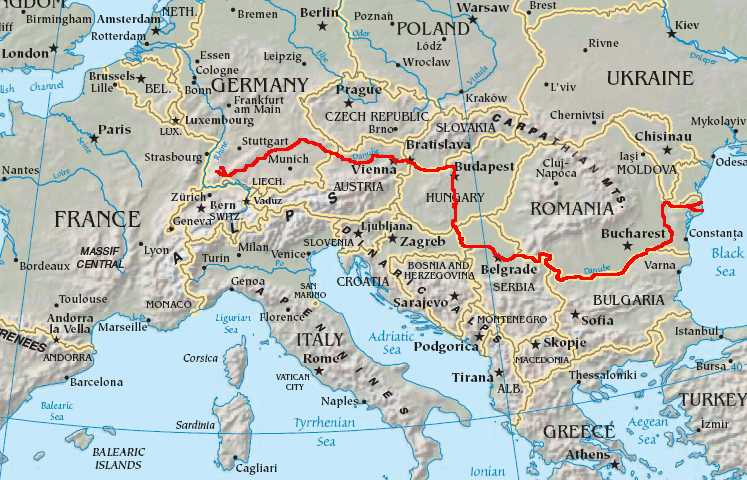 http://travel.nytimes.com/2007/08/12/travel/12hours.html?scp=10&sq=Budapest&st=nyt. Retrieved 2008-01-29. ^ "Orient Express Destinations". http://www.orient-express.com/web/vsoe/journeys.jsp. Retrieved 2012-04-16. ^ "Who knows less about Budapest? A quiz with mayor candidates" (in Hungarian). Index. http://index.hu/politika/belfold/budapest/kvizkerdes74/. Retrieved 2008-01-31. ^ "Intercity and International Cooperation of the City of Zagreb". 2006–2009 City of Zagreb. http://www1.zagreb.hr/mms/en/index.html. Retrieved 2009-06-23. ^ "Berlin's international city relations". Berlin Mayor's Office. Archived from the original on 22 August 2008. http://web.archive.org/web/20080822100321/http://www.berlin.de/rbmskzl/staedteverbindungen/index.en.html. Retrieved 2009-07-01. ^ "The Jakarta Post - Hungarian envoy builds new links with RI". The Jakarta Post. http://www.thejakartapost.com/news/2009/07/13/hungarian-envoy-builds-new-links-with-ri.html. ^ "Tel Aviv sister cities" (in Hebrew). Tel Aviv-Yafo Municipality. http://www.tel-aviv.gov.il/Hebrew/Cityhall/TwinCities/Index.asp. Retrieved 2009-07-01. ^ "Hízelgő a magyar fővárosnak: Firenze testvérvárosának fogadta" (in Hungarian). Népszabadság. Ringier. 17 May 2008. http://nol.hu/budapest/cikk/492160/. Retrieved 2008-05-30. ^ "Miasta partnerskie Warszawy". um.warszawa.pl. Biuro Promocji Miasta. 4 May 2005. http://um.warszawa.pl/v_syrenka/new/index.php?dzial=aktualnosci&ak_id=3284&kat=11. Retrieved 2008-08-29. ^ "Partnership towns of the City of Košice" (in Slovak). [[copyright|]] 2007-2009 City of Košice Magistrát mesta Košice, Tr. SNP 48/A, 040 11 Košice. http://www.kosice.sk/clanok.asp?file=gov_s_c-00.html. Retrieved 2009-07-12. ^ "Fort Worth Sister Cities". fwsistercities.org. http://www.fwsistercities.org/. Retrieved 17 February 2010. ^ "NYC's Sister Cities". Sister City Program of the City of New York. 2006. http://www.nyc.gov/html/unccp/scp/html/sc/main.shtml. Retrieved 2008-09-01. This page uses content from the English language Wikipedia. The original content was at Budapest. The list of authors can be seen in the page history. As with this Familypedia wiki, the content of Wikipedia is available under the Creative Commons License.